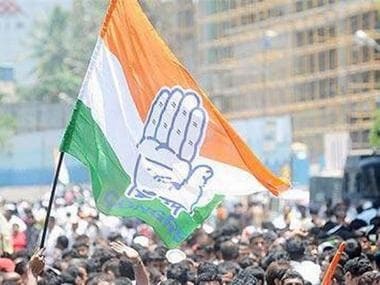 The Congress likely will release its election manifesto for the 2019 Lok Sabha election today (Tuesday). Party president Rahul Gandhi, former prime minister Manmohan Singh and several top leaders are expected to be present at the party's Akbar Road headquarters in Delhi, during the release, reports have said. 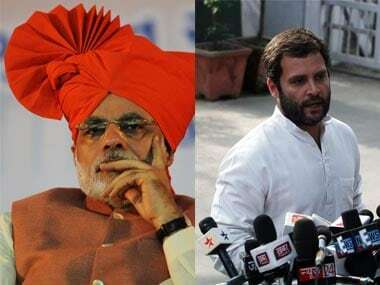 Rahul had told PTI that the manifesto will "reflect people's voice and not just one man's view", taking a clear jibe at Prime Minister Narendra Modi. He also said the manifesto will lay major thrust on employment creation, addressing agrarian distress, strengthening the education and health sectors, besides charting a roadmap to boost economic growth. "The Congress document is the result of extensive nationwide consultations and it will be a very powerful document aimed at redressing key challenges facing the nation," he had said. People from various parts of the country had been consulted by top Congress leaders in charge of formulating the manifesto. The committee is headed by former finance minister P Chidambaram. Congress's ambitious minimum income guarantee scheme, or NYAY scheme, is most likely to be one of the key points in the party's manifesto. 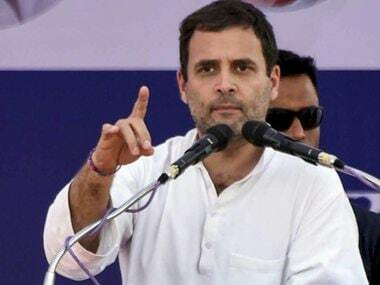 The Nyuntam Aay Yojana (NYAY) or Minimum Income Support Programme (MISP) is a scheme which, as Rahul said, will provide Rs 72,000 a year (Rs 6,000 a month) to the poorest 20 percent of India's population. The party has packaged the income scheme as a "remonetisation or note wapsi" plan for the Indian economy. It is intended to counter the after-effects of the BJP-government's demonetisation move, the party has claimed. Congress has held successive press conferences to address critics' and Oppositions' doubts on the scheme. Congress claims economists, including, former RBI governor Raghuram Rajan, Abhijit Banerjee and Thomas Piketty have helped in formulating the tenets of the scheme, which is expected to cost the government approximately Rs 3.6 lakh crore a year. "Real smart cities are built by good leaders," Rahul tweeted on 1 April, a day before the election manifesto is set to be released. In his tweet, Rahul wrote that if elected, the Congress government will move to install a system where mayors will be directly elected, with five year terms and elected councils. Their administration, said the Congress chief, will be run by multidisciplinary teams of specialists and experts who will be accountable to the mayor and council. 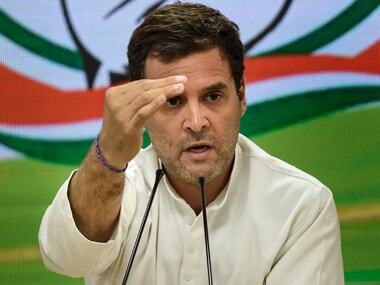 On 31 March, Rahul Gandhi promised "special category" status to Andhra Pradesh and the same is likely to be codified in the manifesto, sealing support from a state where the Congress had lost popular support over its bifurcation into Telangana. "Giving special status to Andhra is not only a commitment made by Congress and Manmohan Singh ji, it is a commitment made by the country to Andhra Pradesh. 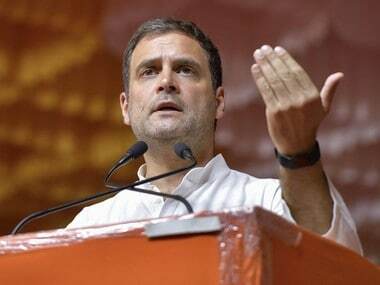 It is our commitment that we will give special status to Andhra Pradesh the moment we come to power in Delhi," said Rahul, while addressing his first public rally in Vijayawada. Rahul had also promised special category status for states in the North East, especially Arunachal, while speaking at Itanagar on 19 March.